You are here: Home > MCSD News & Alerts > MCSD News & Alerts > CMS News > Plug Into Your Family Week – Muscatine Y – Earn a Family Day Pass! Plug Into Your Family Week is May 2nd- May 8th. 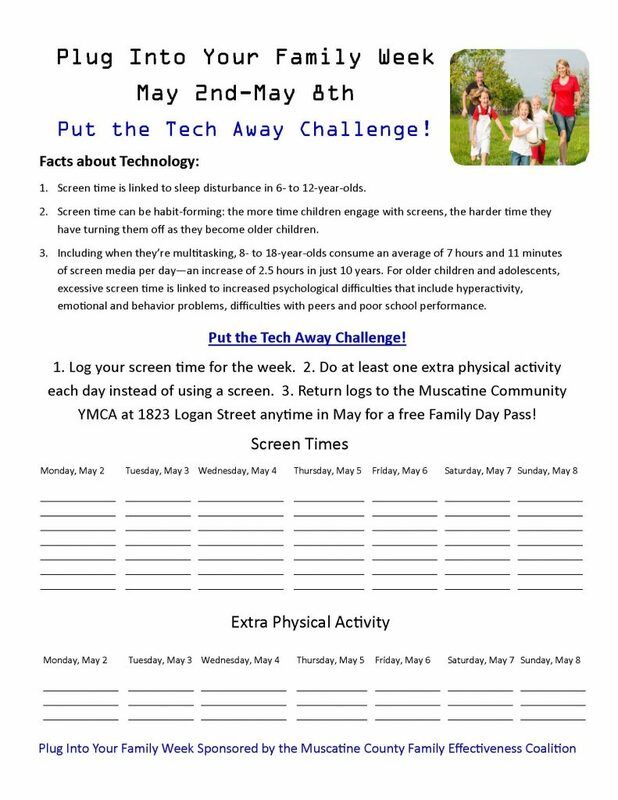 This year the Muscatine County Family Effectiveness Coalition wants you to take the “Put the Tech Away Challenge”. School Age Kids Log your screen time, add an extra physical activity and return your logs to the Y for a Family Day Pass. Everyone benefits when we put the screens away and enjoy the family!